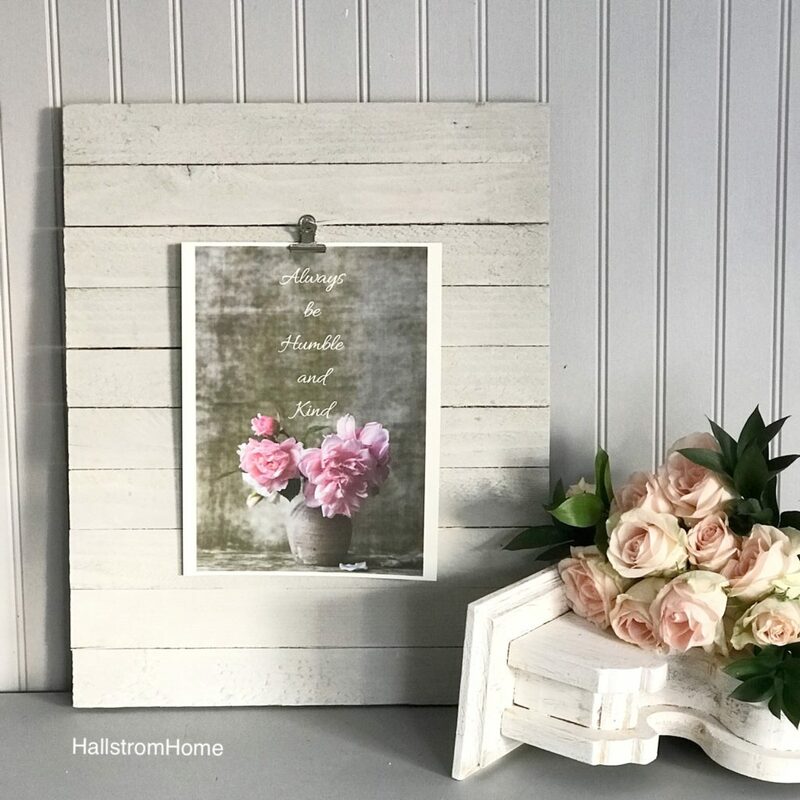 Hey I just wanted to share with you our first free farmhouse printable. I wanted to make something beautiful, that could work in any space. 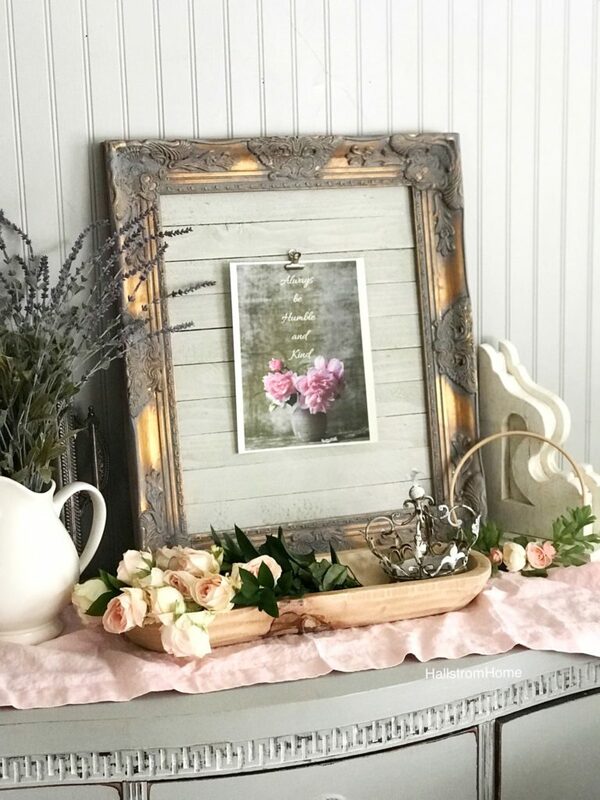 With so many options for printables, I created this Framed Farmhouse Wall Printable Idea. 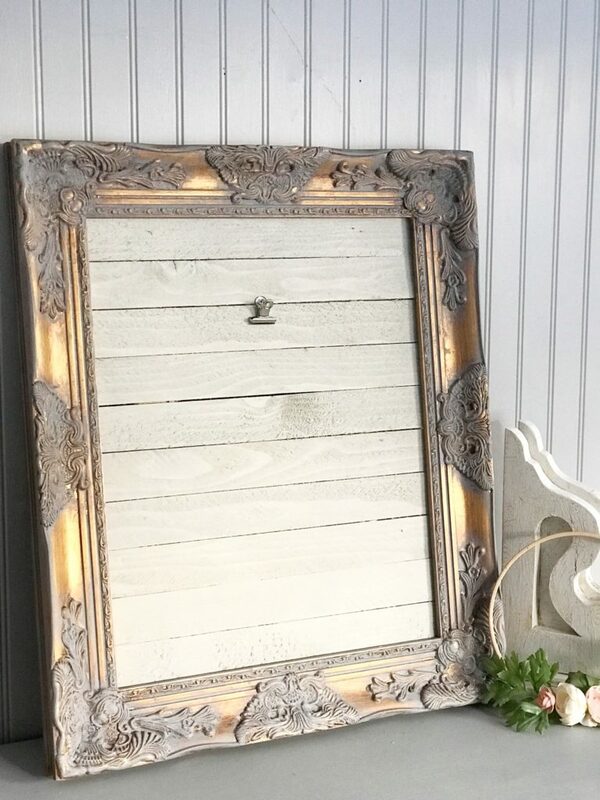 I painted this gray and gold mirror to offset some of the gray in the printable. This is the newest look in my shop here. What I love about having the clamp, is I can change out the image any time I’d like. 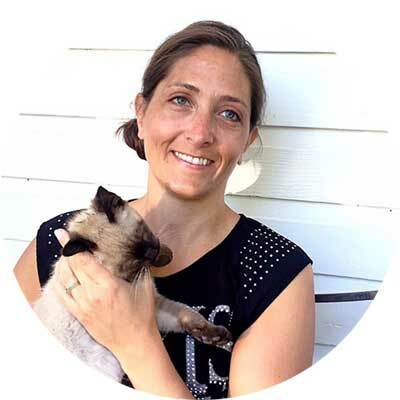 During different seasons, you can switch the printable or even change it to a special picture. 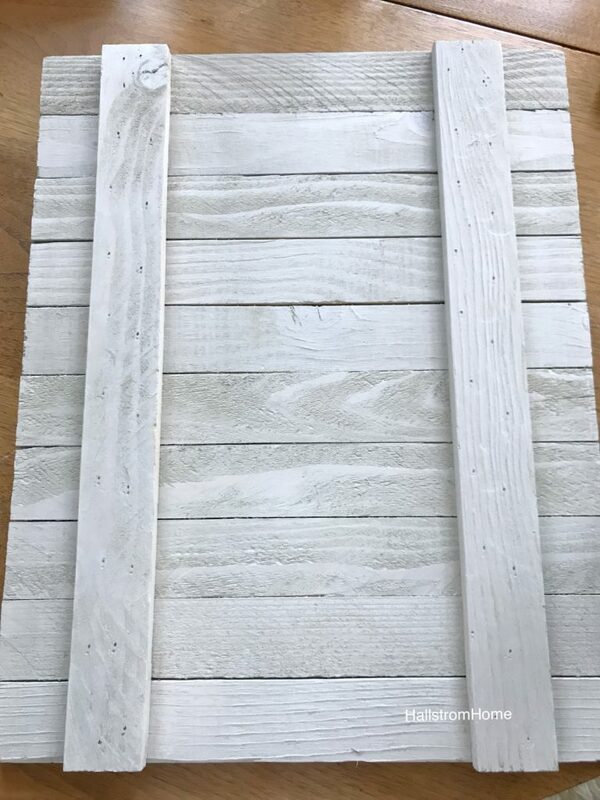 We began by making this white wood as our back board to the frame. Cutting it to size, it fit great! I then measure the middle of the board. You gotta do some math here! I know something else you all would enjoy. 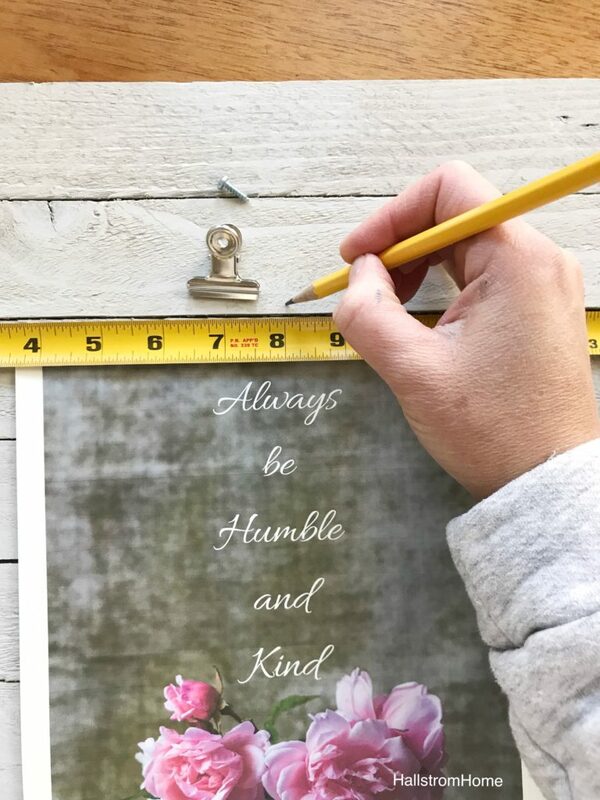 I have a post that includes a free printable that a friend made, you will love them! Now I drill in the clamp that will hang my printables! Wa La now you can hang your printable. But I like to do a bit more with it and put it in my picture frame. This is one of my favorite quotes. Having it around my house keeps me motivated to strive towards this quote. Come take a look at my Insta for some more inspiring feed. I love having this in my home because I can add any picture I would like! Oh you see that corbel there? My 13 year old daughter made that!! It is sold in my shop here or if you’re the crafty type its in the blog here. It really adds a shabby chic farmhouse look to my home. Here is the printable below!! Tell me how you like it and I’d love to see it in your home! Spirit animal is Daisy ???? Daisy and Skippy John ???? 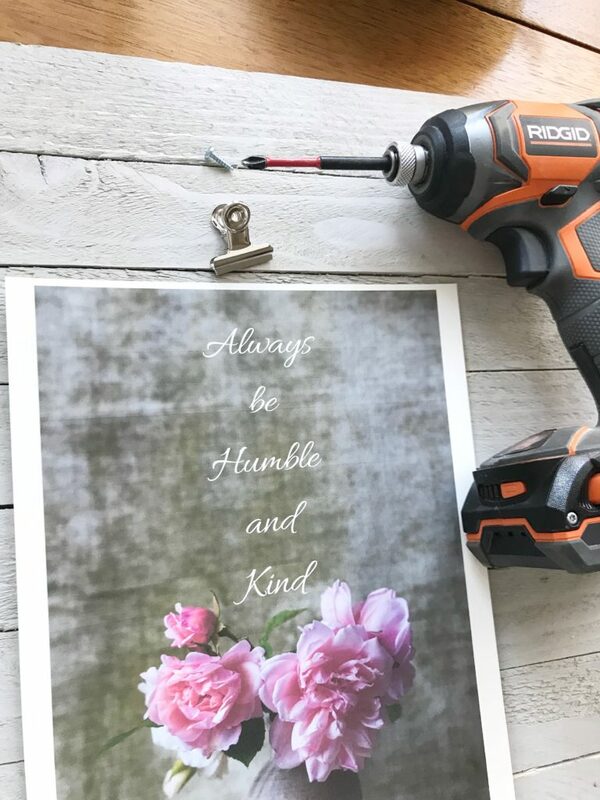 I absolutely love this printable and the clamp idea is great! I will be printing this out and using it in my home! Thanks Rhonda! ???????? I love this image and the idea Rhonda! Its just beautiful!!! 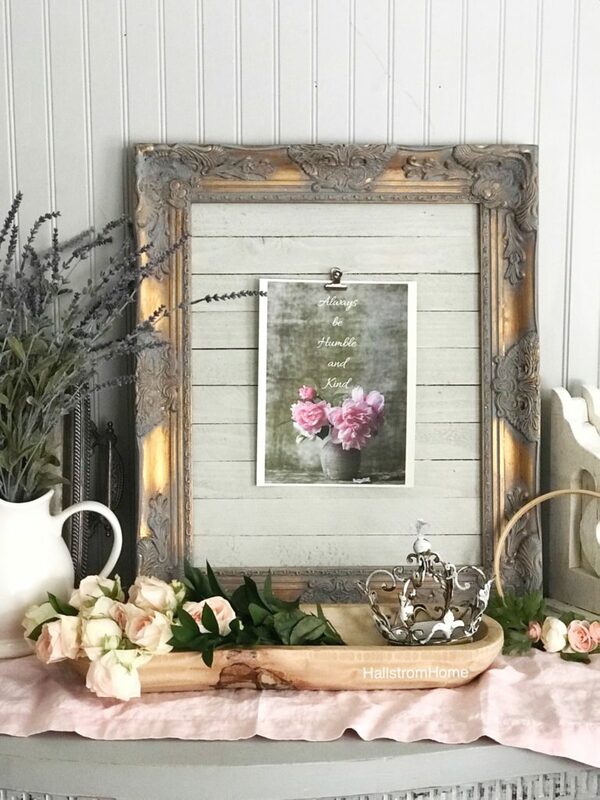 Thank you for sharing this…as well as your beautiful frame it’s in!! I always feel so inspired by your shop and work! Rebecca that was so sweet! I’m glad I inspired you. Thank you so much for the printable idea. Also for the free printable. You are so talented!! Awh thank you!! I had fun creating it. Very fresh and springy ???? Thx Lynn! I love this quote. I’m so glad to help you!